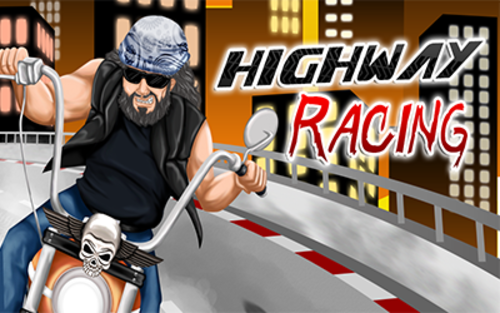 Dumadu Games have announced the launch of Highway Racing, an endless motorcycle pursuit, with free-to-play Mobile eSports tournaments, powered by RewardMob. Dumadu’s users will be able to select the tournament option and compete for free in leaderboard style contests and have the chance in winning real money, prizes and cryptocurrency. Highway Racing is available for iOS and Android users and can be downloaded on the App Store (https://itunes.apple.com/om/app/highway-racing/id730256489?m...) and Google Play (https://play.google.com/store/apps/details?id=com.arjun.high...). Headquartered in Bangalore, India, Dumadu is one of the world’s leading game design and development companies, offering a wide range of mobile games for iOS, Android and Windows platforms. Pocket Bowling 3D, BasketBall 3D, Tennis Pro 3D and the Dark Runner series to name a few. Co-founder and CEO at RewardMob Todd Koch said, “Highway Racing is a fun game for our RewardMob users as it’s simple to pick up and play. The team at Dumadu have fully embraced the Mobile eSports concept and we can’t wait to see the next releases that they have coming up in March’. The RewardMob app can be downloaded through the iTunes App Store or Google Play. RewardMob will be hosting their first tournament ticket sale starting on Tuesday March 13, 2018. Visit https://ticketsale.rewardmob.com/ for more details on the ticket sale. RewardMob is an innovative global mobile games technology platform that helps game developers with User Acquisition, Monetization and Player Retention. The company is based in Kelowna, near Vancouver, British Columbia, Canada that is set to positively change the business model for games developers in a way which has never been seen before. The RewardMob platform (https://rewardmob.com) is now circulating digital loyalty tokens to gamers globally known as RMOB. Additional images are available on request. Media information provided by Famous Publicity. For more information please contact Adam Betteridge at adam@famouspublicity.com, Josh Balmer at josh@famouspublicity.com or Ed Patience at ed@famouspublicity.com or call +44 (0) 3333 442 341. This press release was distributed by ResponseSource Press Release Wire on behalf of RewardMob in the following categories: Men's Interest, Entertainment & Arts, Leisure & Hobbies, Women's Interest & Beauty, Consumer Technology, Business & Finance, Media & Marketing, Computing & Telecoms, for more information visit https://pressreleasewire.responsesource.com/about.